Now, we all know we should just be using HATEOAS… and it was on my TODO list (promise ! ), until I stumbled upon GraphQL. So in this blog post I explain how you can add GraphQL to you existing JAX-RS application, without too much effort. The example is a basic Membership service, where you can get all members, or a specific member. You can add, edit and remove a member. The application is a typical JAX-RS, CDI, EJB, JPA, Bean validation Java EE application, and we are adding a new GraphQL Endpoint. 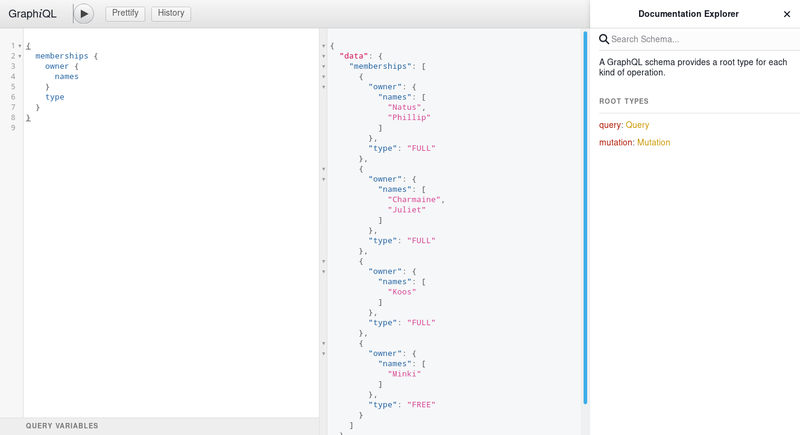 MembershipGraphQLListener – to register the “/graphql” servlet listener. MembershipGraphQLApi – the GraphQL Endpoint. Just wrapping the existing @Stateless service. MembershipErrorHandler – to handle Exceptions. My hope – we will soon have a JAX-QL (or something) as part of Java EE (or Jakarta EE, or MicroProfile) to make this even easier !! I am using MicroProfile OpenAPI and Swagger UI to create Open API definitions for the REST Endpoint. So let’s see if GraphQL delivers on the “No more Over- and Under Fetching” promise. This will return just the free memberships. Cool ! Let’s use the get all query, but paginate. This will return the first 2 results, and then you can page by increasing the “pageNumber” value. This will create the new membership and return the id. This will delete membership 1. The MembershipErrorHandler translates a ConstraintViolationException (that is thrown when the bean validation fails) and creates a nice error message for GraphQL. So let’s try and create a member with a surname of just one letter. Above will describe the queries and mutations available on this endpoint. In this example we did not remove REST, but just added GraphQL as an alternative option for the consumer. By now it should be clear that the client has a lot more options to filter and query the data exactly like they need it. All this without the server having to do any extra work. 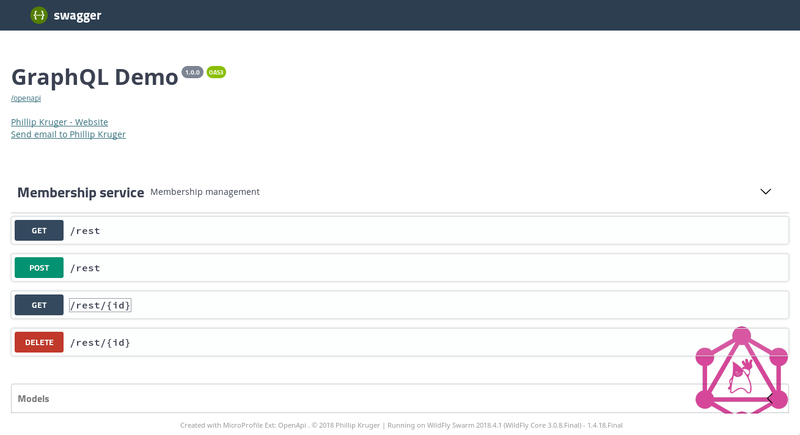 This allows for rapid product iterations on the client side. The payload over the wire is optimized and we are saving bandwidth ! Again, my hope – we will soon have a JAX-QL (or something) as part of Java EE (or Jakarta EE, or MicroProfile) to make this even easier ! !